Pretec, the leading technology company of flash business who announced the world record of the highest capacity flash memory cards of CF card (16GB), USB Flash Drive (16GB), and SD card (8GB), has now released i-Disk Micro Reader, which not only stands up to Pretec's reputation of reliability and quality, but is also the smallest USB Micro SD card reader in the world. The EF 24-70mm f/2.8L USM lens provides weather-resistant construction in the mount area, switch panel, zoom ring and focusing ring to prevent water and dust from reaching the inside of the lens. This design philosophy matches the performance of the EOS-1v 35mm, EOS-1D and EOS-1Ds digital professional cameras. Pentax Imaging Company introduced the Pentax Optio E30 compact digital camera today in advance of the upcoming Consumer Electronics (CES) Trade Show in Las Vegas. Named for the easy-to-use line of Pentax compact digital cameras, the Optio E30 offers 7.1 effective megapixels for exceptional high-resolution photography. A compact, 8-MegaPixel digital camera with Face Detection Technology, two entry-level models with Fujifilm's famed Super CCD sensor and consumer storage solutions highlight the announcements made today by FUJIFILM U.S.A, Inc. Fujifilm will be showcasing the cameras - the 8-MegaPixel FinePix F40fd with Fujifilm's Face Detection Technology, and the 8-MegaPixel FinePix A800 and 6-MegaPixel A610 in meeting rooms N115 and N116 in the Central Hall of the Las Vegas Convention Center throughout the show. The compact size and low weight of this latest Four Thirds Standard camera in the Olympus E-System grant photographers the freedom to take it along nearly anywhere, while not having to do without the considerable benefits of SLR photography. This model features a newly-developed CCD with 10.0 million pixels for incredible imaging performance and a large 2.5”/6.4cm LCD to view results in comfort. 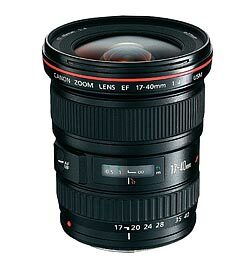 The EF 17-40mm f/4L USM is an ultra wide-angle zoom lens that is being announced simultaneously with the EOS 10D, but is compatible with all Canon cameras that use the company's proprietary EF lens mount. 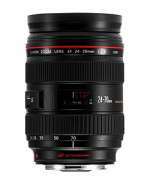 The new lens was developed as a more affordable alternative to the renowned EF 16-35mm f/2.8L USM lens that has become a mainstay for professional photographers around the world. The Cyber-shot H5 offers a 7.2 effective Megapixel CCD as well as a massive 12x Optical Zoom from the precision Carl Zeiss Vario-Tessar lens. This camera also feature a 24x Precision Digital Zoom, and a 57x VGA Smart Zoom. This versatile lens gives a focal length of 36-432mm (35mm conversion) at F2.8-3.7, while also offering a 2cm Macro shooting facility for close-up work. The continuing increase in the capacity of IC recording media has broadened its usage as a practical way to store high-resolution digital photos, music and video content (from the Internet or TV programs) on portable devices that are designed to handle digital entertainment content. Canon published today information about overheating problem on some Canon PowerShot A530 and A540. Canon discovered that in cameras where the opening/closing spring on the inside of the battery cover sticks out beyond its regular position, if a battery is put into these cameras and the battery cover is closed, it causes a short-circuit.PowerShot A530 and A540 digital cameras affected by this phenomenon will be repaired free of charge, regardless of warranty status. Delkin Devices, Inc., makers of high quality digital photography products and accessories, today announced the SensorScope System, the safest and most effective system for cleaning your digital SLR image sensor. 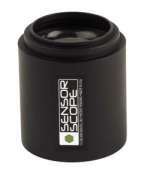 The innovative SensorScope is the first and only sensor inspection device in the market designed for DSLRs. Its use of magnification and focused, high intensity light enables camera owners to inspect their camera's sensor to see if it needs cleaning. 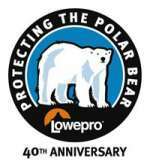 Lowepro, the worldwide leader of protective cases and backpacks for imaging products, notebook computers and personal electronics, today announced a philanthropic partnership with Polar Bears International (PBI), a nonprofit organization dedicated to the worldwide conservation of the polar bear. The National Association of Photoshop Professionals (NAPP) is excited to announce the launch of their most comprehensive online learning center ever in conjunction with the release of the Adobe Photoshop Creative Suite 3 public beta preview. 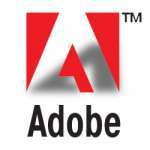 Adobe will introduce a beta version of Adobe Photoshop CS3 software, the next release of the world standard in digital imaging, on Friday, December 15th. Adobe is delivering a widely available Photoshop CS3 beta to enable customers to more easily transition to the latest hardware platforms, particularly Apple's new Intel-based systems. Confirming Fujifilm's commitment to professional photographers, the FinePix S5 Pro carries a number of features that appeal to wedding, portrait and studio photographers. One is an expanded dynamic range from the double pixel technology (6.17 million S-pixels and 6.17 million R-pixels) of the camera's Super CCD SR Pro sensor that is approximately 400% wider than that of a CCD working on a single-pixel design. In addition, the FinePix S5 Pro goes a step further by coupling the new Super CCD SR Pro sensor with Fujifilm's new RP Processor Pro for smoother tonality from brightest light to the darkest shadows. The HP Photosmart D7360 Photo Printer, based on HP’s scalable printing technology, is the world’s fastest photo printer with lab-quality photos and outstanding documents that last for generations. Six individual high-capacity ink cartridges enable high-volume printing of 4x6-inch photos in as fast as 12 seconds. With the innovative 3.4-inch touch screen color image display and intuitive photo features, the HP Photosmart D7360 Photo Printer provides an industry-leading at-home printing experience.